A country within a country – that’s what Swaziland is. A tiny country that has its own monarchy governed by King Mswati, its own governing rules and a deep sense of culture and tradition. We had to go through immigration check points and custom stopovers to enter into Swaziland. 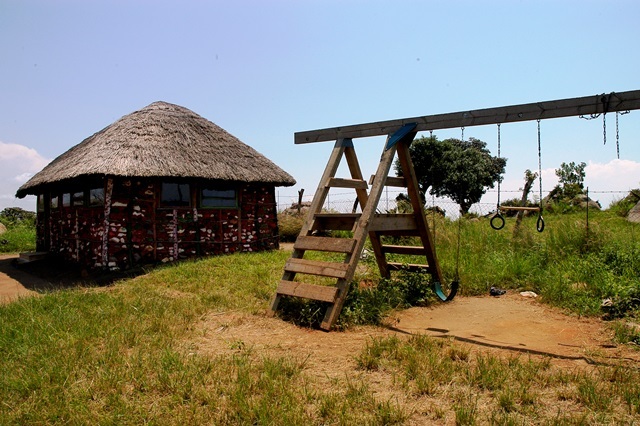 The Swazis as they are called are no different from South Africans, physically I mean – but in every other way from lifestyle to the way they do business, the Swazis are a lot more rural. They go back to farming, herding, carpentry, craftsmanship and women folk busy their hands with crafts and local foods to sell in the markets. 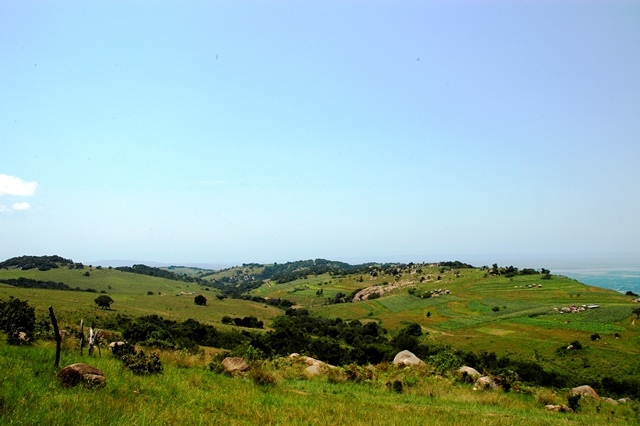 Swaziland is gorgeous to say the least as much of her land remains untouched, at least by mass tourism. Pockets of villages are seen settled on hill sides and valleys. 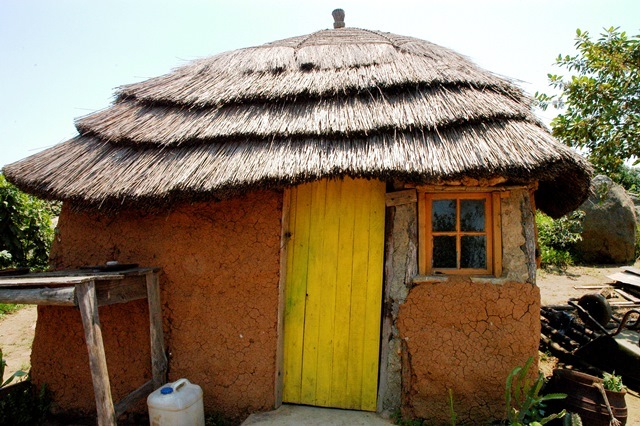 The Swazis are famous for their bee hive huts made of straw and wood. 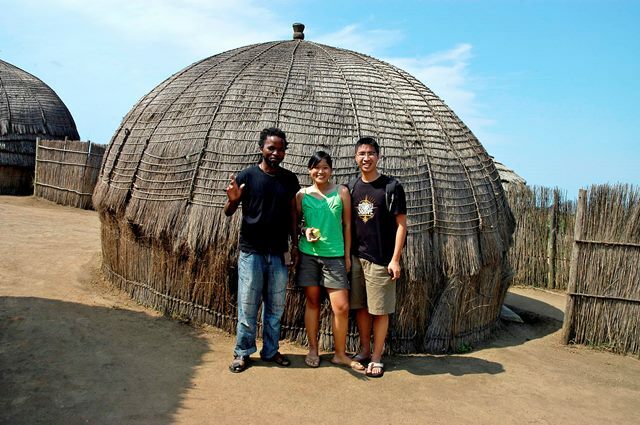 The dome-like huts take 1-2 months to construct and can only last for 5 months. Women folk will harvest grass, dry it and sell it to skilled builders. Wood is then shaven until smooth, bent and lashed to each other to create the hut. Grass is then layered on and ‘glued’ with mud. This provides insulation for chilly nights. We met Myxo a Swazi himself with dreadlocks longer than my hair. He brought us to his village and introduced us to his community. With corn shoots growing on the fringe of his garden, he explains that corn was their staple as it is used to make ‘pap’ – corn meal grounded mixed with hot water to make a thick mash. He started his business 10 years ago taking tourists around Swaziland and offering packages to stay a night in his village. Speaking perfect English, he was able to give his guests a good and informative tour of his little country. He sits us down in the bee hive hut away from the scorching heat and explains Swazi cultures and traditions. He tells us that Swazis promote polygamy and are steep in ancestral worship. He tells us of his trip to London and how scary it was for him to see the cosmopolitan lifestyle in the city. We chatted for quite a bit exchanging local knowledge and was soon ushered for lunch after a growl from Terence’s stomach! 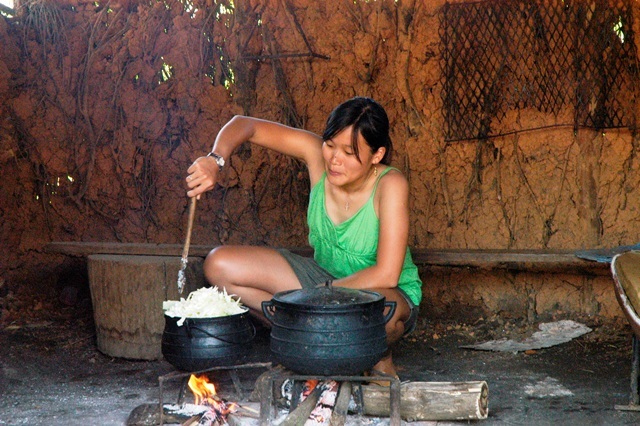 Myxo’s nephew had cooked us a simple lunch of pap, boiled cabbage and grilled chicken. I had earlier chipped in to cook the cabbage dish and was splendidly delighted that it turned out well. We sat on an uneven wooden bench and placed out plates on a uneven table – but the view was gorgeous as we stared out into rolling mountains and swirly dirt roads. Soon after lunch, we bid farewell as our next destination would take us 7 hours to get there before the sun set on us. Swaziland remains an intimate country, with friendly people and truckloads of stories to tell, if only we had time to breeze through the day – just like Swazis do.